• The Webster Groves-Shrewsbury-Rock Hill Chamber of Commerce will hold Fun Fest 63119 on Saturday, April 6, 11 a.m. to 2 p.m., on the grounds of Luhr Hall, 475 E. Lockwood Ave. in Webster Groves. 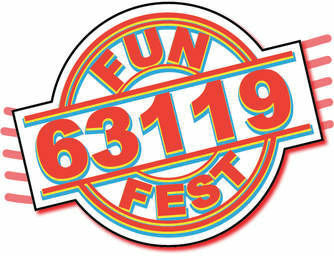 Fun Fest 63119 celebrates the community with a variety of music, food and entertainment. Stroll through Luhr Hall to meet community businesses and be entertained by local community music and choral groups. Come for lunch and enjoy “Taste of 63119” where local restaurants sample and sell delicious treats. • The chamber will hold a Coffee and Connections on Friday, April 12, 8 a.m. to 9:30 a.m., at The Novel Neighbor, 7905 Big Bend Blvd. in Webster Groves. Contact Rebecca Now via email to reserve: rebecca@go-webster.com.